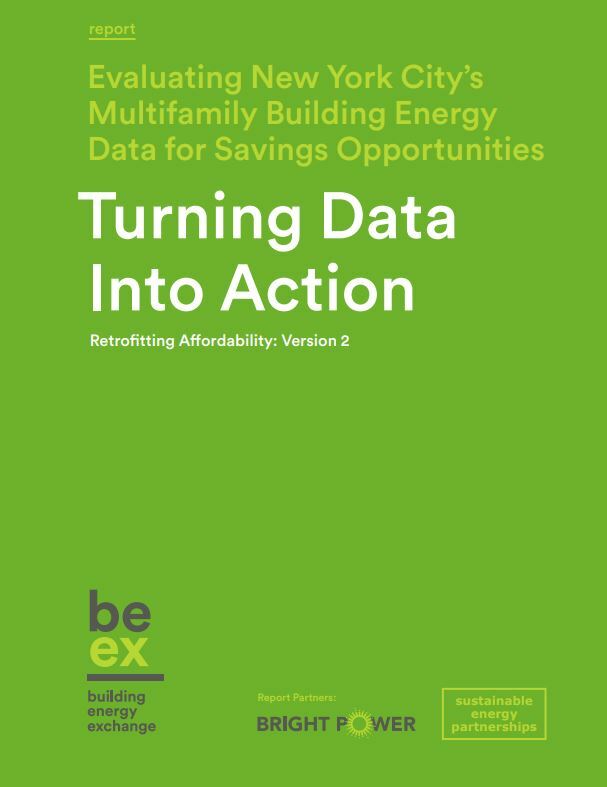 The Building Energy Exchange, in collaboration with Bright Power and Sustainable Energy Partnerships, has published a report called Turning Data Into Action. We analyzed nearly 16,000 datasets from Local Law 84 (Benchmarking) and Local Law 87 (Energy Audit Law), using Python programming to analyze the submissions that New York City buildings have been filing. A critical tool for climate action, our study finds that implementing recommended efficiency retrofits would immediately reduce multifamily energy use in NYC by 11% and have a simple payback of less than 6 years. Tearsheets have been created to make New York City building energy audit data actionable. The authors have organized the massive dataset of multifamily building energy use and auditor recommendations into digestible packages that will enable building decision-makers to better understand their options at critical milestones. “This is by no means meant to replace a comprehensive energy audit or feasibility study,” says Dave Sachs, a technical expert at Bright Power, “it’s meant for folks who don’t have the budget for that to identify their particular building type and see what opportunities exist.”-Frank Lovece, Habitat Magazine, September 27, 2018.